Atelier Courses offers everyone the chance to design and make something. There is nothing more satisfying that making something from scratch and it’s just as much fun for us to introduce people to what we love doing. 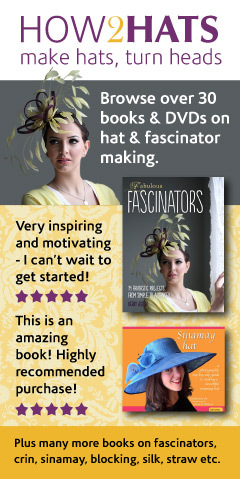 We run courses for all levels of millinery experience and this is explained in each course listing. If you can stitch on a button but that’s your sewing limit and you’ve never made a hat then you need to select a beginner level class. 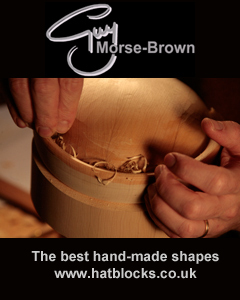 Practice makes perfect and you’ll soon be doing the more advanced master classes. It’s important to have fun when you are learning something new and so we aim to do just that on our classes. It’s not all about the task, you might make new friends and find out about all sorts of things from the other students in your group as well as leave with a new hat at the end of the session! Owner Georgina Abbott’s millinery life began at the London College of Fashion in 2001. She set up her own label and launched a wholesale range that was stocked in Fenwick of Bond Street. She went on to manage events and PR for the British Hat Guild and recruited Joanna Lumley as patron. Launched in 2010 and voted Micro Business of the Year in 2013, Atelier Millinery has gone from strength to strength and recently moved to a new location within The Revival Retro Boutique in Fitzrovia. 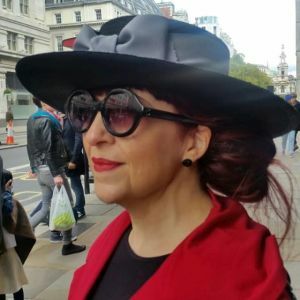 In 2014, Georgina co-founded London Hat Week with Becky Weaver of Hatalk to create a regular celebration of hats in the city that is home to some of the best milliners in the world.